After reading one too many articles online, you decide to put up the “FSBO” sign. BIG mistake! The process of selling your house is not an easy one. There are a number of things that you need to take care of and without the right connections; it might take you more than 3 months to finalize the sale. 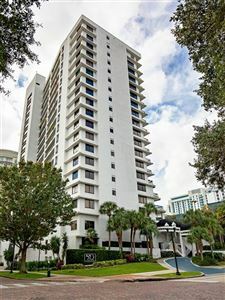 This is why it is better to hire a Downtown Orlando realtor to handle everything from setting the asking price to marketing, negotiating the price, and closing the deal. You are probably thinking about the commission, right? Did you know that a house sale handled by a real estate agent goes through within 3 weeks, compared to the 3 months it takes for an FSBO house? There’s a 28% chance that a real estate agent will find the right buyer for your house, whereas only 1% that someone might see your FSBO sign. Lastly, the profit difference between a real estate agent sale and an FSBO is around $70,000. Here’s why we think that you should always hire an Orlando realtor when selling your house. Every homeowner looks for “profit,” and that’s the name of the game when it comes to real estate. Real estate agents have vast knowledge about comps, which gives them the information they need to price your house competitively. They also provide valuable advice on how to stage your house. This helps with the comps comparison, as they can argue with the buyer that a similar house on the block does not have the same features as your house. Hence, there might be an increase in the asking price. Real estate agents often use a “high price” trick to assist sellers. This trick involves setting a high asking price and then gradually reducing it depending on the counter offers. This way, the buyer assumes that you are negotiating on their level. You can be assured that your house will sell at a premium! The best you can do is make an online post that you are selling your house. On the other hand, a real estate agent has a list of buyers waiting for a house to go on the market. They use a number of marketing strategies such as posting pictures, POV videos and spreading the way through their connections that a house is available for sale. It’s important to work with an Orlando realtor who is not a buyer’s agent. A real estate agent who plays for both teams does not look for your best interest. So make sure that you are hiring a seller agent because he/she will negotiate to keep your demands in mind. And this is why hiring a real estate agent is so much better than putting up the FSBO sign. Convinced? If you want to buy a home that falls under your budget, then visit Megan Dowdy Realty to get in touch with a qualified Downtown Orlando realtor. The company’s mission is to provide its clients with the best house buying and selling experience. To get in touch with them, call 407-509-9279 today. Why You Need a Professional to Handle Your Real Estate Transaction?